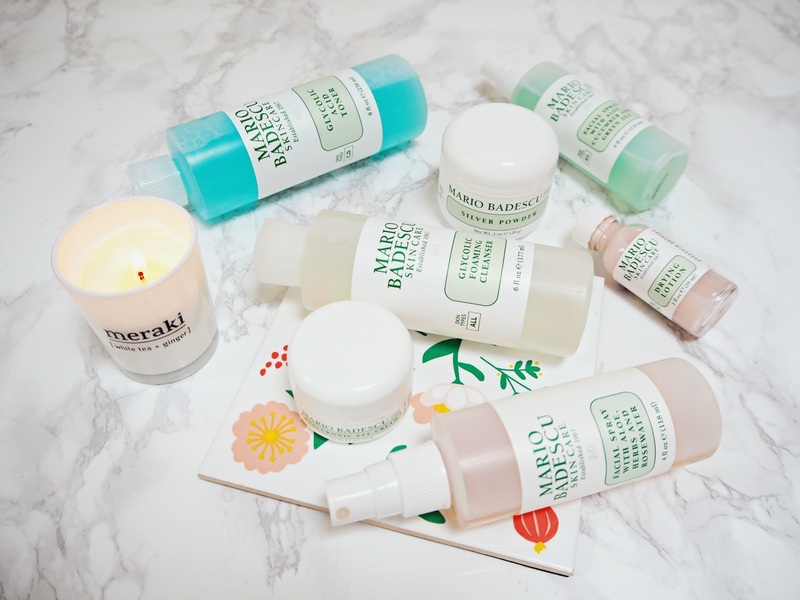 I feel as though Mario Badescu is a brand that flies under the radar, however in actual fact they produce really innovative, different products (as well as skincare staples) at a very affordable price-point. The packaging is functional and there's something in their range for every skin type (I'm scrolling through the brand page as I write and pretty much every product name sounds really appealing... this post barely scratches the surface of their offering!) 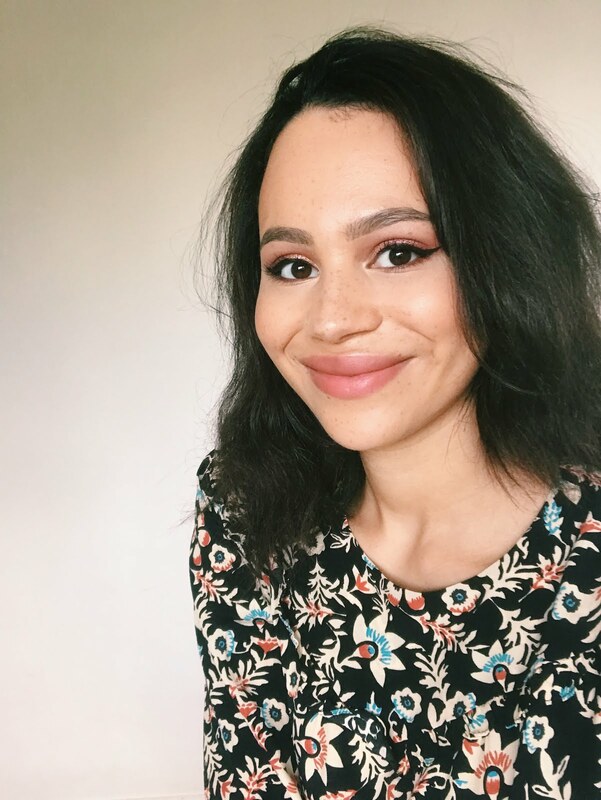 I've picked up a few of their products over the past year or so, and was also kindly sent some over by BeautyBay, so thought I'd talk you through everything in my stash. Glycolic Foaming Cleanser* | £14 | This is a gel-based cleanser containing the acid exfoliant glycolic acid, so it's not a product I'd recommend for 'every single day' use. It doesn't strip the skin when used in moderation, however. I really like the packaging - it stops you from wasting any product and just feels quite satisfying to use! It lathers up a little bit and over the past few months I've been using it once or twice a week, I've noticed a definite difference. My blemishes haven't been scarring so much and it's just improved the clarity and texture of my skin overall, also evening out any dry patches. Silver Powder* | £12 | There's definitely a knack to this product! The first time I used it, I made a mess, so consider yourself warned... Essentially, you take a cotton wool ball dampened with water, dip it (carefully!) into the product and dab the paste onto your t-zone and any other areas of your face where you have enlarged pores or oiliness. Leave it for 10 minutes and then remove with a cotton wool pad soaked in your toner of choice. I definitely feel as though it purifies the skin, leaving my face less shiny and helps keep the spots at bay (as a preventative treatment, as opposed to something you use when you're already in meltdown mode). Is it worth it for the faff? Maybe not, however I can deal with it on a Sunday pamper session when I have a bit of time. Facial Spray with Aloe, Herbs & Rosewater | £11 | This is definitely one of my go-to skincare products, especially for this time of year! It's a lightweight, fine facial mist that really does the job for me. I use it in place of a toner in the morning after cleansing and it just softens and hydrates my skin. I can honestly feel my skin immediately relieved when it's tight or dry after a spritz of this. It's not at all sticky and really does feel just like water. It also smells so good! Facial Spray with Aloe, Cucumber & Green Tea* | £11 | This is another great one for the winter months because it's so calming and soothing on angry or irritated skin. Again, the mist is water-light and you won't feel a residue left behind on the skin. It feels so nice and fresh on the skin, so really perks things up and makes my face feel a bit less puffy early in the morning! Glycolic Acid Toner* | £15 | I actually tried this product a little while back because I got a mini of it during a time when my skin was quite sensitive and it didn't agree with me! However I decided to give it another go when this arrived. It contains 2% glycolic acid, though unlike its obvious comparison product: the Pixi Glow Tonic, it doesn't have those additional soothing products like aloe vera to take the edge off it (which is probably why it doesn't feel as gentle as some other products on the market). Having said that, it does do the job of buffing away dead skin cells and evening the tone and texture of the skin. It works in the same sort of way as the cleanser, however because it stays on the skin, it definitely takes the results to the next level. Hyaluronic Eye Cream* | £15 | I used this product more or less every day for a few months and I've definitely been reminded to go back to it soon! It has a gel-cream formula but is still relatively heavy-duty, so you only need the tiniest amount. It's really nourishing and plumps out tired skin around the eyes so you look less tired. It stops under my eyes looking dry when I set my concealer with a loose powder and is just a really nice product on the whole. Drying Lotion | £16 | I think this is the most famous Mario Badescu product! It's a pink paste in a liquid solution but you don't shake it up, you just take a cotton wool bud, dab it into the sediment and apply it to any active breakouts. When I first picked this up back in the spring, I used it once or twice and wasn't that impressed. However for this post, I decided to give it another go. One of the issues with this for me is that it's an overnight treatment and I move around in my sleep, burrow under the sheets, wear an eye mask etc... So, it can be hard to keep a product like this on my skin for long enough for it to take effect. But recently I've been using it when I've been having a bit of a lazy day and can just put it on without worrying what I look like! It does work - if you use it on any angry spots it will dry them out by the next day (or the end of the day, in my case). When I looked up these products online I saw that you can pick up the Anniversary set including the Enzyme Cleansing Gel (not featured here), Facial Spray with Aloe, Herbs & Rosewater, Drying Lotion, Silver Powder and Flower & Tonic Mask (not featured here) for just £32! So, if you saw a few bits you like the look of in this post, that could be the perfect little introduction to the brand. 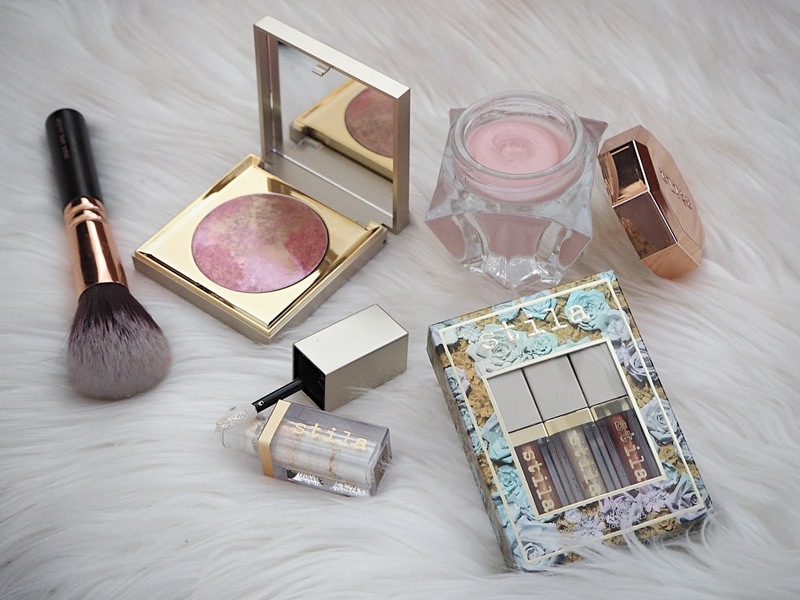 There are also a few other little sets on the BeautyBay website if you want to save some money, but that one stood out to me as being a great deal worth sharing. Have you tried anything from Mario Badescu? I’ve been dying to try a few bits from this brand, the silver powder sounds very intriguing! I’m defo going to give this brand a go now! I never tried this brand but it sounds great ! I should give it a go ! I've never paid much attention to Mario Badescu or tried any of the products, but some of these sound great! Love the sound of both facial sprays! The Silver Powder is really intriguing! It sounds a bit tedious to use but I'd like to try it to see what it does to my skin. The idea is really good though even though it must be a bit messy. The Drying Lotion seems great too, I move a lot in my sleep as well but it's the perfect product to use one a day where you're not leaving the house! I had a toner once from Mario badescu but it really broke me out :( I haven’t tried anything else from them but after reading this I feel I really should! Ive tried a few products from Mario Badescu and its become one of my favourite brands. I wouldnt be able to live without the drying lotion, I swear by it. I also love the glycolic foaming cleanser for when my skins breaking out which happens often. I haven´t, but the drying lotion is on my list of produts I need to try. This is a brand that I have read so many amazing things about but have never tried. I have the mist in my list to buy though. I smashed my drying lotion when I was travelling and didn't replace it! I need to re-order it, it's so effective. My sister loves their facial mist! I'm very interested in trying out that drying lotion! I just want to say that I love your new header! I've only tried the Drying Lotion and have to say that it works wonders! I need to try more from the brand.